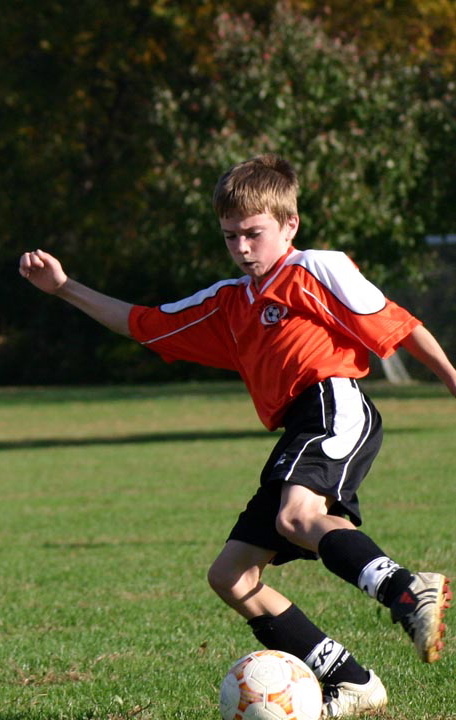 STATS DAD: Youth Soccer: What does it take to play D1 college soccer? To keep improving in the sport he loved, he played every Sunday in a local pick up game against some really skilled adult soccer players from the area. The weekly games consisted of US players, who played in college and foreign players, who grew up with the game. With the encouragement of the older players, Brian played and improved his skills. Well, Brian ended up going to a Big Ten school not to play soccer but to study Biology. He played intramural soccer. After an intramural game the 2nd week of school, a coach from the men's team called him over. He asked Brian if he wanted to train with a team's trainer with the possibility of being a walk on. Brian, of course, accepted and for the next two months, he trained 4-5 hours a day, 6 days a week. The supervised training and nutritional program with structured meals of almost 5500 calories a day, helped Brian gain 17 pounds. Brian also improved his quickness and endurance (5 min miles). To keep Brian motivated, the team did a smart thing, they let him sit on the bench during a few games. He eventually started training with the team and played in a few scrimmages. He even started in a few friendlies over the last few weeks. His efforts on the field resulted in two goals and one assist. He was then offered an official roster spot on the team. Don't let your kids give up on their sports dreams especially if they are willing to work hard and sacrifice to make them happen. Brian's story is not typical, but it just goes to show you that anything is possible. Really great story - and it highlights something that a college coach mentioned on an interview on the NSCAA podcast. Many players come into college soccer (and I'm sure every sport) with the expectation of immediate gratification. They start at the bottom, and do (briefly) something the coach told them to work on - and then expect to quickly move up to start. They've been conditioned by Mom and Dad that a little bit of work is all that is required, when the truth is it could be a long time before they see the outcome. That's a great story. Brian loves the game & is willing to work to be the best that he can be. Also doesn't get deterred easily when things doesn't go his way. Didn't know you coached club soccer. My son (11) is in his first year of club soccer. 'A' team talent who is on the 'B' team. I call him a "B" boy and his teammates the "B" boys. It's been good for him. Gets a ton of playing time & because of his speed was forced to learn a position that I rarely played him at when I coached rec soccer. He's the featured striker. I used to play him primarily in the mid-field & at stopper. Our muscles benefits a lot from participating in sports activities since they becomes more developed thus making us stronger with more power and force. So try to be on best college soccer teams.